ATLANTA, Ga. — CNN reported that the Fisher-Price and the Consumer Product Safety Commission released a warning to consumers that they should avoid putting their children in the brand’s Rock N’ Play sleeper if the children can roll over on their own. At least ten children have died, ostensibly from suffocation or falling, while sleeping in the device since 2015 after rolling over from their back or side. The report issued by the Consumer Product Safety Commission and the Fisher-Price does not provide a cause of death for the infants. All of the children who died were three months or older and capable of rolling over. Fisher-Price says that its Rock N’ Play sleeper conforms to all applicable safety standards despite another child dying after being placed in the sleeper by a caretaker. The last death involving the Fisher-Price Rock N’ Play happened in March of 2019. The Consumer Product Safety Commission says that it continues to investigate the problem. A spokesperson for the Commission told CNN that it is examining the possibility of issuing a recall. Fisher-Price seems to be aware of the potentially deadly faults with its product. The company issued warnings to consumers informing them that they should not use the sleeper once the child can roll over on his or her own. Rolling creates a high risk of falling out of the sleeper for the baby. Fisher-Price elaborated in the warning it released saying that parents continue to put their children in the sleeper even though the child can roll on his or her own all while not using the three-point restraint designed to be used with the sleeper. 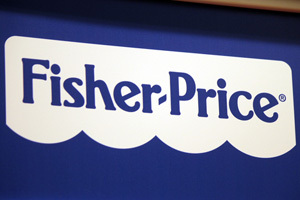 Fisher-Price is not placing blame on the grieving parents directly. A spokesperson for Fisher-Price informed CNN that the company understands that the death of a baby is an “unimaginable tragedy.” Fisher-Price’s spokesperson also acknowledged the duty the company has in producing safe and reliable products for children. Have you lost a child due to a dangerous product?